Euromoney will return to Cairo on the 16 and 17 September for its annual gathering of finance and investment professionals. H.E. Mr. Hany Kadry Dimian, Minister of Finance, will kick start the conference giving an overview of the macro-economic environment, growth, unemployment, inflation and the subsidy programme. He will be followed by H.E. Mr. Ashraf Salman, Minister of Investment, highlighting the investment opportunities on which the government will concentrate over the next 12 months. They will be joined by H.E. Mr Mounir Fakhry Abdel Nour, Minister of Industry, Trade and Small Industry who will speak on day two of the conference. 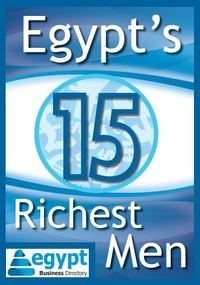 Euromoney brings focus, insight and independence to the debate on Egypt’s economic and investment future. As the oldest, largest and most important conference in the financial calendar, the Euromoney Egypt Conference will explain the dynamics of Egypt’s changing political, economic, financial, regulatory and monetary systems to the international markets. The two-day event will also provide insight on the real economy to explain what is actually happening on the ground. Topics will include Egypt’s new political landscape, the government’s economic strategy, the country’s economic and investment future, GCC lifelines, the role of the IMF and other multilaterals, subsidy reform, capital markets and IPOs, energy, infrastructure and resource challenges.